Detroit’s impressive Cultural Center and the architecturally appealing campus of Wayne State University are located on land that once housed many of the city’s more prosperous families. Numerous homes were razed for the cultural institutions built here, but several outstanding homes remain to remind us of the architectural preferences of rich Detroit families in the span from about 1880 to 1910—homes built before the vehicle industry generated new wealth. 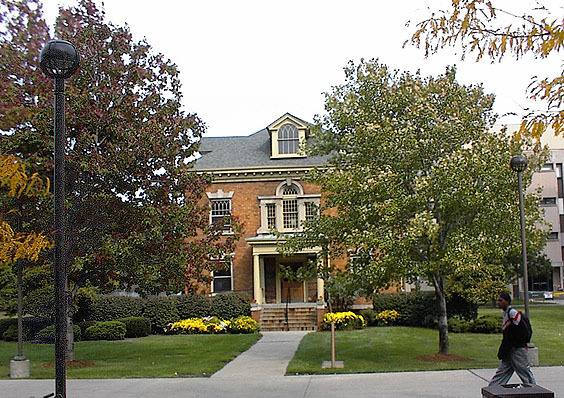 The home you see was designed by John C. Stahl for Frederick Linsell and completed in 1904. It is a Colonial Revival Style home constructed of attractive yellow brick. You see a steeply pitched hip roof with appealing and highly visible dormers. Note the attention the architect Stahl devoted both to the selection of a color for his brick, and the stone work above each window—a flat stone lentil with a prominent keystone. The home features a tremendously clearly executed serliana-style window at its front. This type of window is dominated by a semi-circular arched window above three other windows. The windows to the left and to the right superseded the one in the middle since they are both bordered by two columns or pilasters that protrude a bit from the wall. This is also known as a Palladin window since it was created by Andrea Palladio, a gifted and influential Italian architect who lived from 1508 to 1580. His achievements may be seen in Vicenza and Venice. 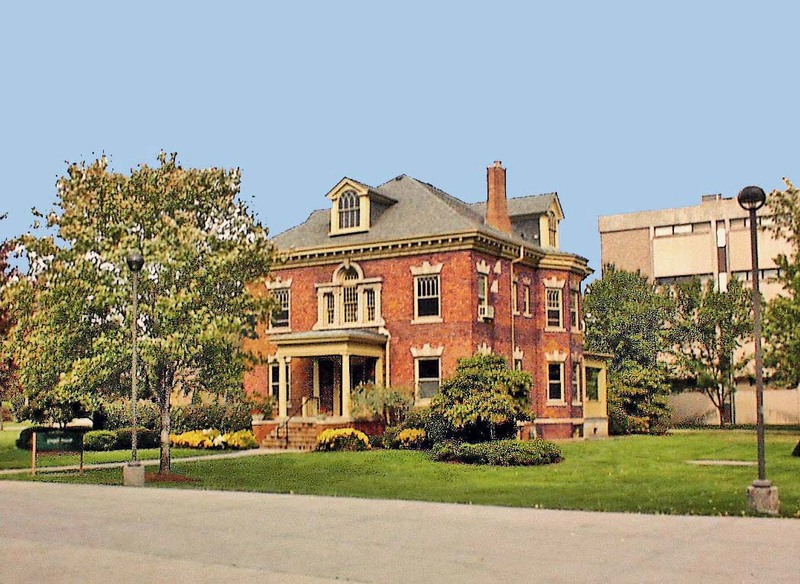 Today, Wayne State occupies many architecturally significant homes near its campus: the Beecher House on Woodward, with its impressive stained glass and the magnificent shingle style Freer home in the East Ferry Street Historic District. The Linsell Home was one of the first residences that Wayne converted to scholarly use. Today there is no automobile traffic or on Second at this point. The Linsell House has been felicitously incorporated into the architecturally appealing, but in this location, pedestrian Wayne campus. Architect: John C. Stahl, Jr.